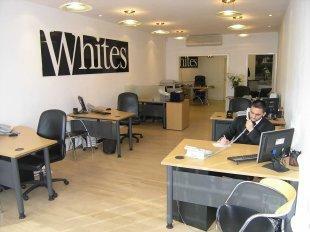 Whites Estate Agents are located in Abington Northampton. Established in the 90’s Whites specialise in sales, lettings, management and planning advise and are members of the OFT, National Association of Estate Agents and Association of Residential Letting Agents. This professional background guarantees excellent service in all aspects of property sales and lettings. Disclaimer: The information about this Agent is provided by the Agent themselves as an advertisement for their agency services. Rightmove is not endorsing this Agent and makes no warranty as to the accuracy or completeness of the advertisement or any linked or associated information, and Rightmove does not check or verify the accuracy of the content. The information is generated, provided and maintained by Whites Estate Agents, Northampton. Please contact the Agent directly to obtain further information about their property services.